Humming Desert Alpacas: Vistor Reviews! 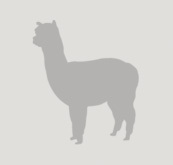 Home Humming Desert Alpacas: Vistor Reviews! This place is amazingly beautiful with the alpacas! Ronda is the person who is there caring and raising these gorgeous animals! I loved our visit, and the grandkids and daughter had a blast there! They have a wonderful gift shop and it's worth a trip out there! Thank you Ronda for making our visit a memorial one! Beautiful location! 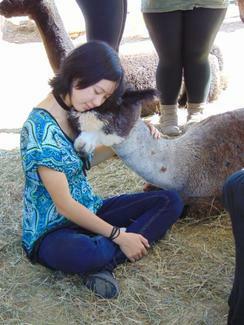 These alpacas are so well taken care of and very friendly. Learned so much about them that I never knew, would love to come back. Had the absolute best experience! 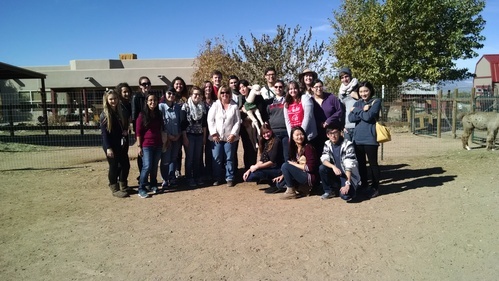 I got the chance to organize a group from my student organization at UNM to come tour Humming Desert Alpacas, and the owners were some of the sweetest people I've ever met! 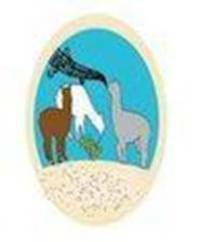 Flexible schedule for touring, great care-taking of their alpacas, and such an incredible interactive experience! If you're looking for something fun to do when you need to de-stress, literally nothing in the world is greater than being able to spend time with the alpacas! An incredible experience. The owner was incredibly knowledgable. Very wonderful and genuinely engaged in her audience, while sharing her knowledge of the Alpaca world! It was awesome and educational. Very clean and family friendly. I highly recommend a visit. Extremely fun atmosphere and wonderful operators! On a recent visit to New Mexico my friend Eiko asked me what I wanted to do and my first response was "Go to Humming Desert Alpacas"! I was NOT disappointed. I enjoyed every minute of the visit and hope to come back some day. Thank you so much for our wonderful tour with you today! I posted a pic on my Facebook page, and I've been inundated with requests for info. I posted your contact info for my friends and a link to your website. In the next few months, several will be headed this way, and you and your wonderful alpacas on on their radar! I hope all goes well with your impending births. Thanks again for a fun, informative visit! This place was awesome!!! We took the kids for a visit, and we got to spend time with all the animals. The kids loved it! So much fun. Took the grandkids to see this beautiful place. 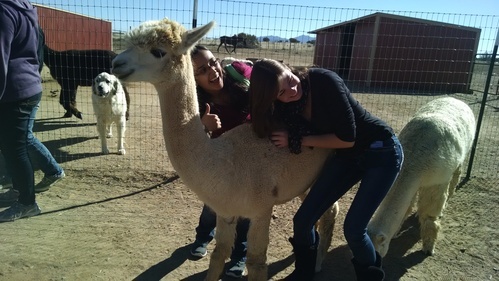 Rhonda takes beautiful care of these amazing animals and we felt we knew everything we wanted to about Alpacas. And her store is beautiful and fun with reasonable prices.